London has been the financial capital of Europe for decades and our Fenchurch Street branch have been working in tandem with local corporations and blue chip companies as the print supplier of choice. 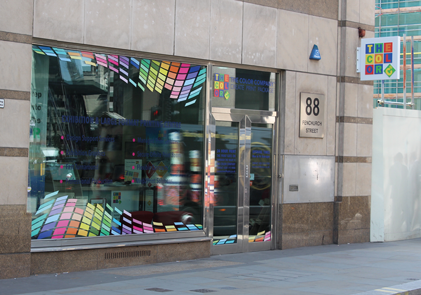 Located opposite the corner of Leadenhall Street, this location is also where our specialist large format team are based, producing marketing materials for exhibitions and trade shows. This covers everything from merchandise stickers to pop-up banners and vinyl graphics and are supported by an experienced design team ready to create captivating marketing campaigns. At The Color Company we constantly invest in cutting-edge technology to ensure premium quality for our customers. Our Fenchurch Street branch is a prime example of our willingness to innovate in the industry, which is one of the many reasons why the quality of our work is consistently so high. We have the knowledge and experience to adapt to the specific needs of companies in the surrounding area, changing and growing together to form the ideal partnership.